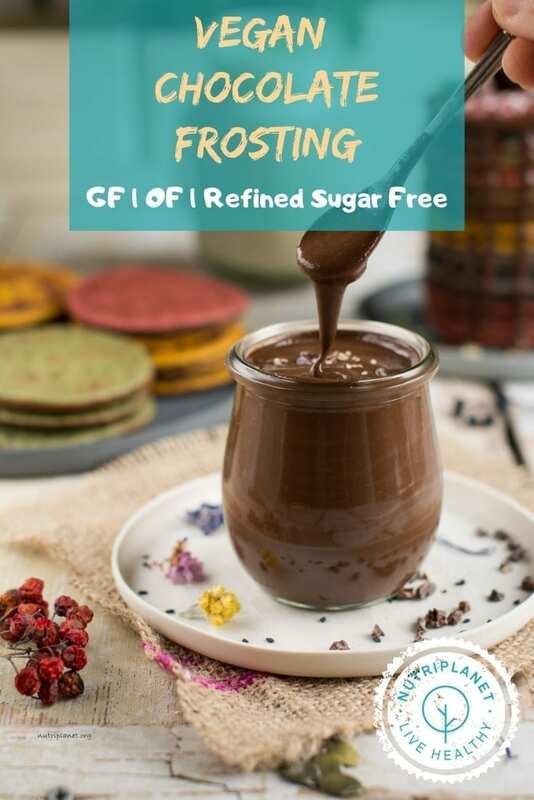 Enjoy life with this creamy, thick and hearty yet totally oil-free and refined sugar free vegan chocolate frosting. This vegan frosting is super easy to make and is ready in 10 minutes. My gluten-free chocolate frosting has no added oils, not even coconut oil. Instead, the thick consistency is achieved with the help of coconut puree and ground chia seeds, both whole food ingredients. Now, most frosting recipes I’ve found online, use vegan butter as main ingredient, which is super refined foodstuff, not good for our precious bodies at all! So, I definitely steer clear of such ingredients and use wholesome alternatives instead. 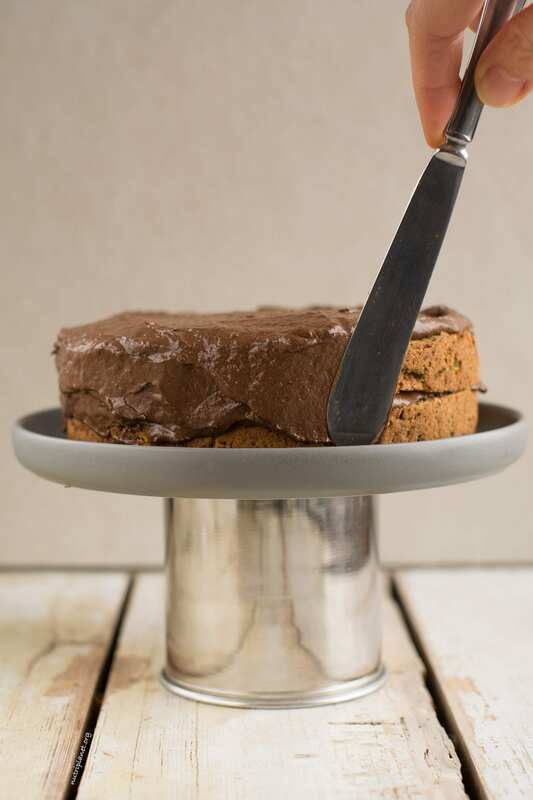 Now, besides being super easy to make, this gluten-free vegan frosting is also known for its’ versatility – scroll down for ideas on how to use this chocolate frosting. Created to hold its’ shape. 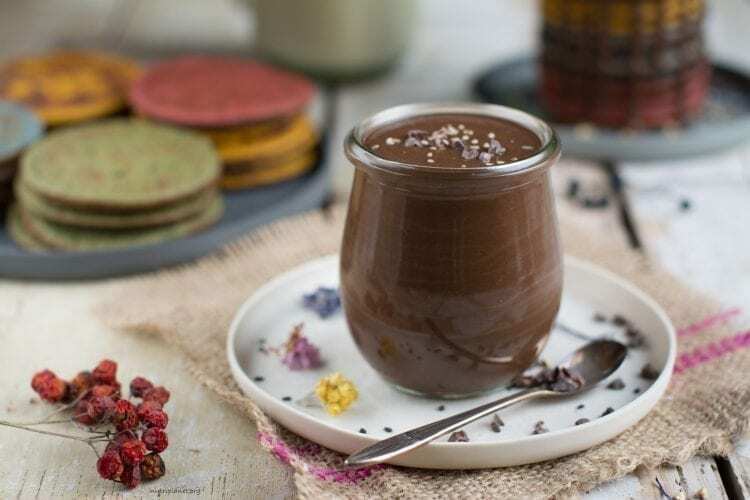 Should you prefer a bit runnier and lighter chocolate frosting, get the recipe of my Healthy Chocolate Sauce. Process all ingredients in a blender or with immersion blender until smooth. It’s easier if you have the nut or seed butter at room temperature. Also, if you use immersion blender, give the ingredients a stir with a spoon before you start processing. Nutritional info per serving (30g, 1.06oz): 66.1 kcal, 3.55g carbohydrates (41.1% of kcal), 4.4g fats (59.9% of kcal), 1.55g protein (9.37% of kcal), 3.04g fibre, 32.3mg sodium, and 2.31 GL points. Feel free to use any nut or seed butter instead of tahini, e.g. almond butter, peanut butter, sunflower seed butter, cashew butter, or hazelnut butter. Should you opt for naturally not sweet plant milk such as almond milk or soymilk, add a sweetener of choice. I don’t recommend substituting coconut puree as it helps the frosting to set when it’s cooled. It is especially important when frosting cakes. If you feel that there’s not enough sweetness for your taste, add any preferred sweetener (about a tablespoon should be enough). 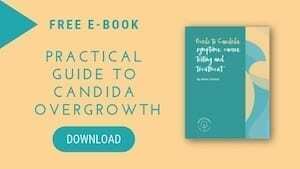 For those struggling with Candida overgrowth or unstable blood sugar, I’d suggest birch xylitol or liquid stevia. Other can also consider date sugar, coconut palm sugar, coconut nectar, yakon syrup, agave syrup or maple syrup. Another option to make the frosting a bit sweeter is to use more carob and less cocoa powder, e.g. 90g of carob and only 10g of cocoa. You can use either regular cocoa powder or fat-reduced version. 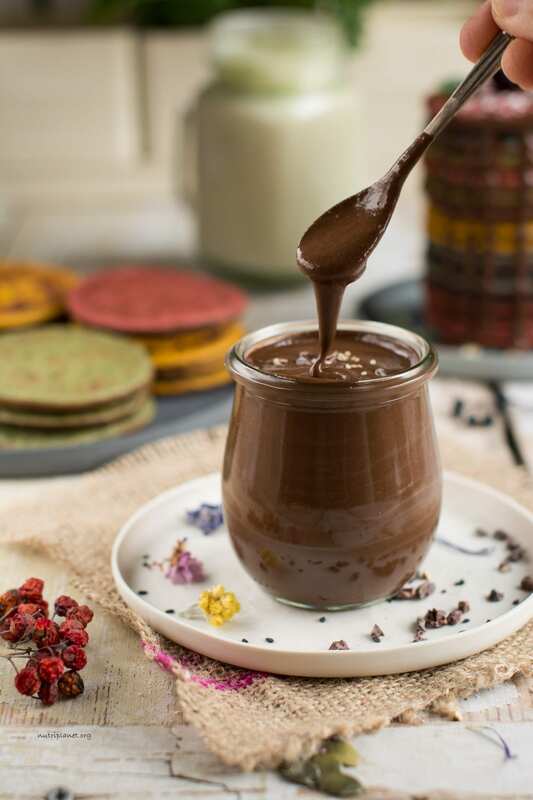 Store this chocolate frosting in a sealed container or glass jar in fridge for up to 5 days. Use it as layer cake frosting. It’s especially decadent for a birthday cake. Spread on sourdough bread, pancakes, waffles, cookies or crackers. Enjoy as a dessert with some added dark chocolate chips. Top your oatmeal or chia pudding with a teaspoon of this frosting.